Do you have large, unmanageable household items that need to be discarded? 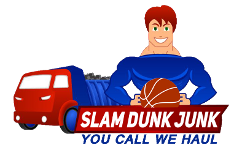 Slam Dunk Junk is a junk-removal and clean-out company for residential and commercial properties in Washington, D.C., and the surrounding areas. Our professionals promptly arrive at your home or estate with heavy-duty equipment and large trucks. From old furniture to yard debris, we efficiently clean out and haul away your old items. We are fully prepared to professionally clean out estate and commercial properties, homes and construction sites. Whether you need to get rid of a large appliance or you need to clean up an entire site, we get the job done. Our team is thoroughly trained and equipped to handle projects of any size, whether they require one or multiple truckloads. We guarantee that our team maintains a safe environment. Our clean-up and junk-removal specialists are highly skilled professionals who provide on-demand labor when you need it. We leave homes and properties clean and orderly after completing our services. 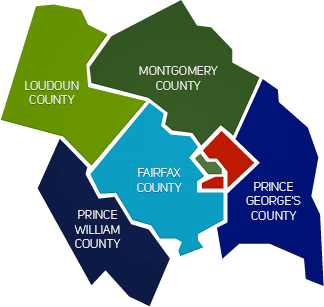 and create spotless properties in Alexandria, Arlington, Fairfax, Springfield, Oakton, Vienna, Bowie, Silver Spring, Rockville and Bethesda.